I honestly wish we could move beyond this whole ‘Pumpkin Spice’ thing that I’m blaming Starbucks for. I use cinnamon and nutmeg in lots of foods and cocktails I prepare but I don’t just associate them with Pumpkin. The popularity of their Pumpkin Spice Latte has seen a proliferation of grocery items carrying the ‘Pumpkin Spice’ label and this year it seems to have gone over the top. A friend saw Pumpkin Spice Gouda Cheese at her grocery store. Yes…I think that fits ‘over the top’ pretty perfectly…don’t you? So the first thing I did was to check ingredients, even before I tasted the contents of the bottle. And guess what…as I guessed, not a drop of pumpkin! This rich liqueur blends the flavors of sweet cinnamon and baking spices with maple, brown sugar, vanilla and coffee. Although I wanted to make a coffee based cocktail; when I tried it straight, I loved those warm spices with the sweet notes and could easily imagine this as a nightcap all by itself, either straight up or my preference of on the rocks. I wanted to make an indulgent after dinner dessert coffee and this fit the bill. Shh…don’t tell but I might have had an after-breakfast dessert coffee this morning…you know, all for the sake of science and making sure it turned out as good as the ingredients I had put in it. I did it for you. But this is one specialty liqueur I really do recommend…there’s nothing pumpkin about it! 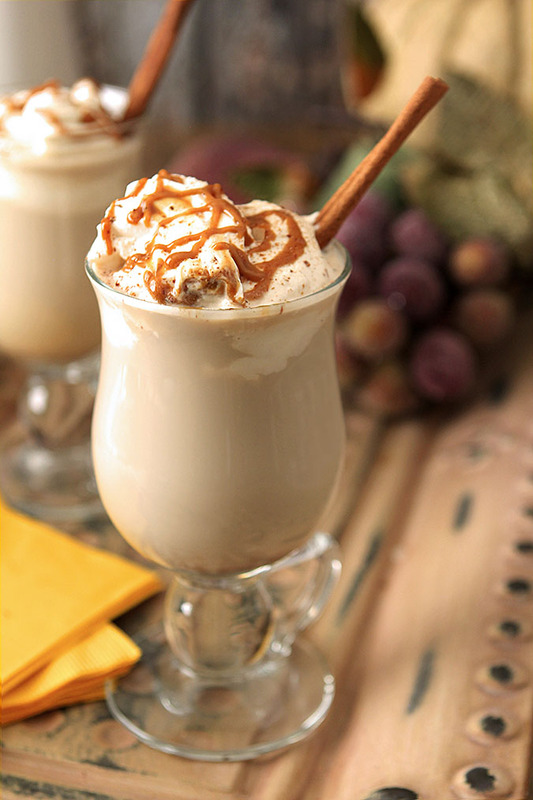 Combine the coffee, Baileys® Pumpkin Spice Liqueur and half and half in a container and stir. Pour into 2 coffee mugs. 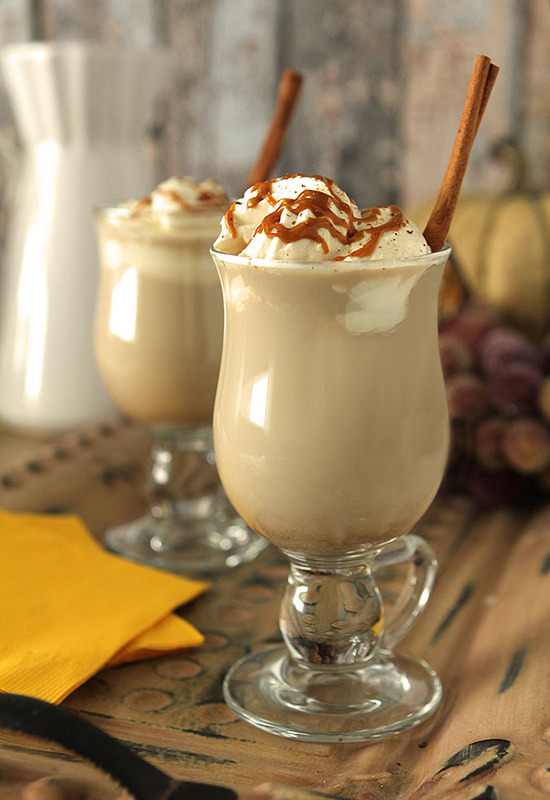 Combine the whipping cream and Baileys® Pumpkin Spice Liqueur and whip until firm. Top the coffee with the whipping cream, drizzle with warmed caramel sauce and garnish with a cinnamon stick and freshly grated cinnamon. I would recommend using decaf coffee if serving this as an evening nightcap. for this post however all commentary is my own. The post Dessert Coffee with Bailey’s Pumpkin Spice Liqueur appeared first on Creative Culinary | A Denver, Colorado Food and Cocktail Blog.